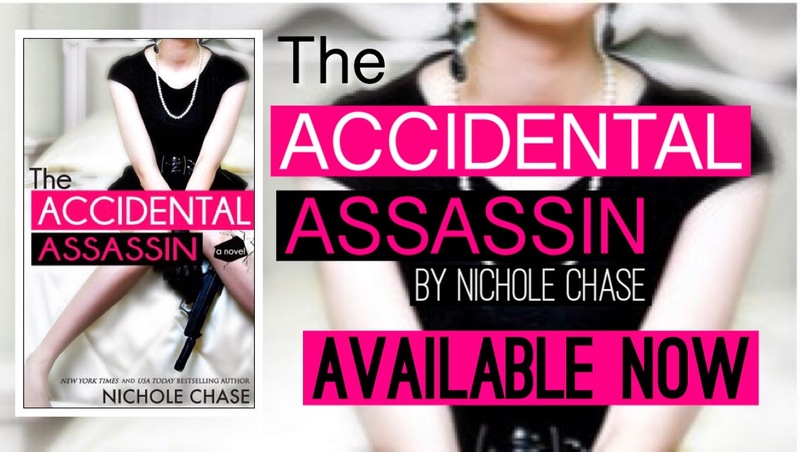 It's another EPIC Release Day Launch and this time it's for author Nichole Chase and her latest THE ACCIDENTAL ASSASSIN! 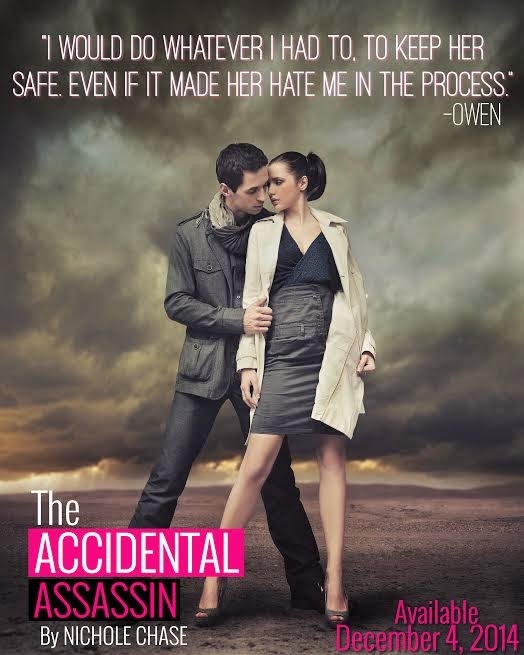 THE ACCIDENTAL ASSASSIN is a New Adult contemporary romantic suspense novel and it was so worth the wait!! Read the excerpt, enter to win, then go grab your copy today! Synopsis: Ava McKenzie is a creature of habit. Life is passing her by and she has nothing to show for it. She’s had the same job since she started college, she orders the same dish every time she goes to her favorite restaurant, and only reads books from authors she knows. There is nothing new or surprising in her life… until her best friend marries a man from London. 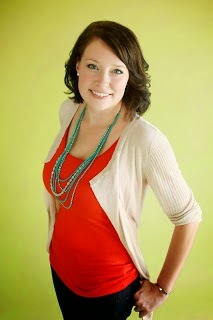 When her newlywed friend asks her to house-sit while she honeymoons, Ava jumps at the chance. She thinks this could be the very thing she needs to shake up her life. Ava throws herself head first into her new lifestyle; she wants to try everything, go everywhere, and never get stuck in a rut again. Of course, offing a man in a car garage hadn’t been one of the things on her list to try. 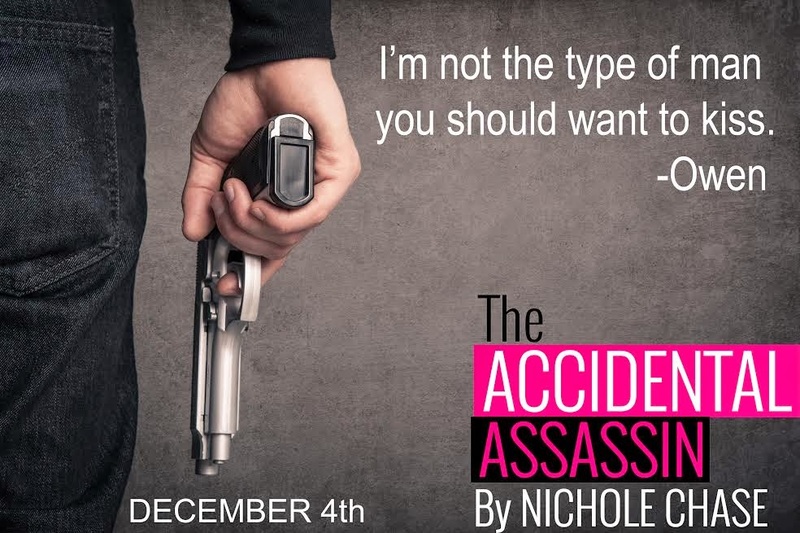 THE ACCIDENTAL ASSASSIN will be $2.99 for the first week and then the price will rise to $3.99 after December 7th. Please pass this information on to your readers if you can with your release day launch. 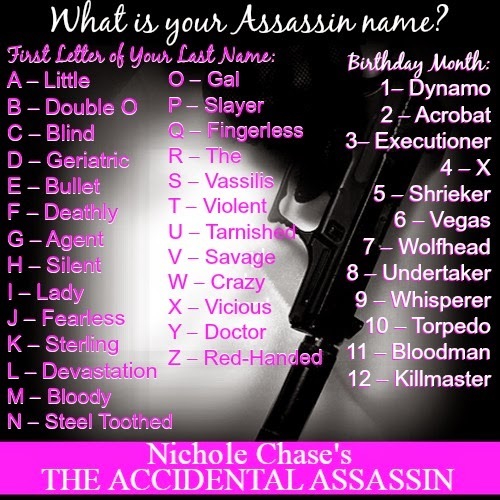 My weapon of choice would be poison.